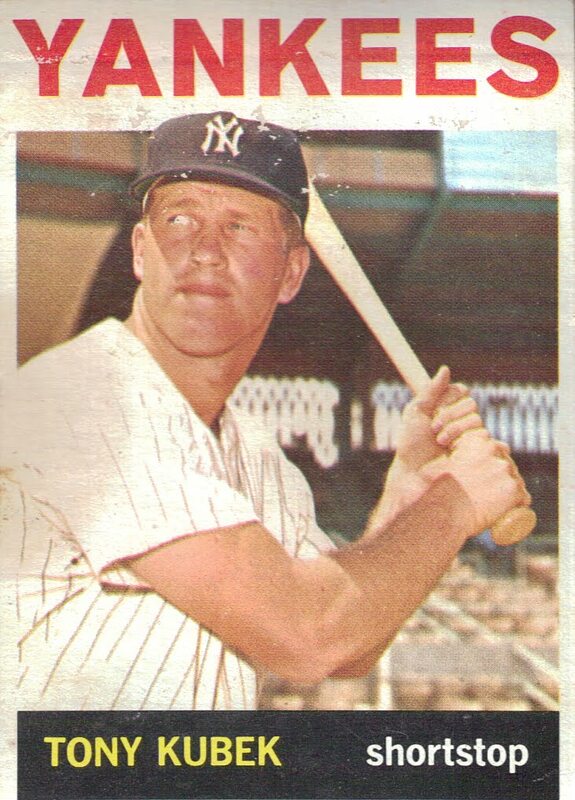 Tony Kubek played all nine seasons of his career mainly as a shortstop with the Yankees (1957-1965). He was a lifetime .266 hitter, but was a three-time All-Star and a Rookie of the Year winner. This card might be in the best condition compared to all the older cards passed down to me.